The Cook County State’s Attorney’s office decided to drop all charges against an alleged Lakeview package thief whom we told you about a couple of months ago. Most of the suspect's victims lived in the 900 block of West Sheridan or the 3800 block of North Fremont, according to court records. Michael Spanks had been charged with six misdemeanor counts of lost or mislaid property and possession of burglary tools in October. But the charges were dropped in a follow-up court appearance. 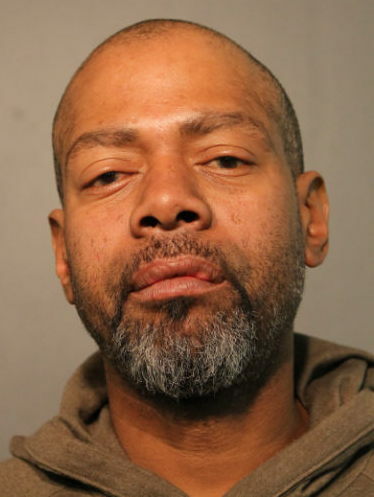 Michael Spanks, 49, was arrested in Lakeview last Thursday night after a local businessman saw him casing an apartment rental office in the 3800 block of North Broadway, police said. When police arrived, they found Spanks inside of a neighboring business that was closed for the night. Cops say he was carrying a FedEx box filled with paper files; a power screwdriver; two Beats headphones; two Google Minis; two magic bullet blenders; an iPad; six envelopes containing keys; and two iPods. Spanks is charged with four felony counts of burglary and one felony count of theft. Judge Michael Clancy set bail at $50,000. Investigators say he stole packages from a building in the 900 block of West Sheridan; more parcels from a building in the 800 block of West Sheridan; and an iPhone from a chiropractor’s office in the 3800 block of North Broadway. Let’s hope the charges stick this time. Court records show that after spending much of the 90’s in the narcotics industry, Spanks received a six-year sentence for burglarizing a River North convenience store in 2009.